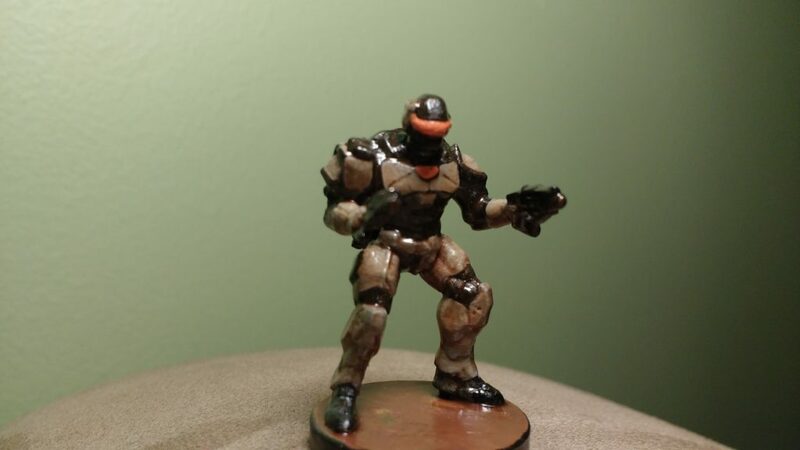 After doing more research than was probably necessary I decided to use the Enforcers from Mantic Entertainment’s Deadzone wargame as miniatures for playable androids in my upcoming Science Fantasy game. Deadzone uses 30mm Heroic scale miniatures, which are larger than Reaper’s 25mm Heroic scale but not so much that it’s a dealbreaker…especially for android or alien races. 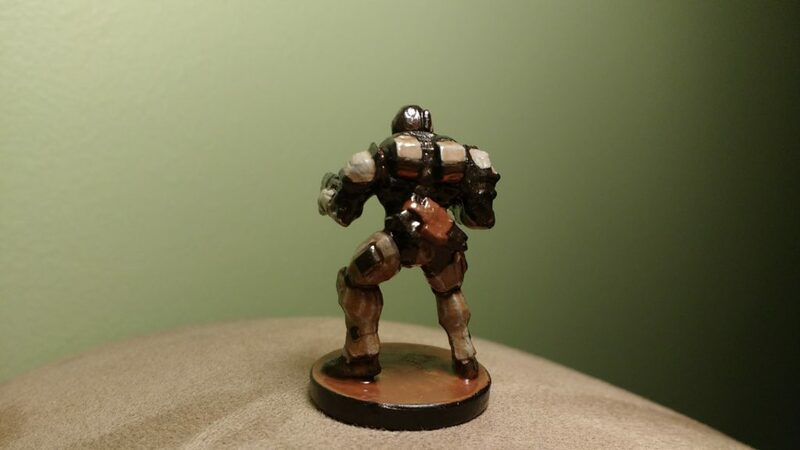 This was the first miniature that I assembled, posed, and customized. I did jump the gun and prime it with Gesso before learning that Deadzone miniatures can be painted on directly. Fortunately it did not turn out like poor Ridley Darkedge. The Gesso did obscure some minor detailing but, overall, I was very pleased with how it performed here. My first additive customization was a pistol in a holster adhered to the miniature’s back. This is where I really appreciated the tight coating of Gesso which seemed to bind the various super-glued pieces together all the more securely. I did attempt a warm wash on this miniature prior to applying the varnish but it only seemed to make the miniature look dirty…which isn’t necessarily a negative. Incidentally, one of the reasons that I went with Mantic Entertainment is that they have a good balance of affordability and quality as compared to most other miniature games.